SkinCare Physicians’ Controversies & Conversations symposium offers participants a unique opportunity to learn, share and discuss controversial topics in laser and cosmetic surgery in a collegial atmosphere with a large group of experts. SkinCare Physicians’ Controversies & Conversations symposium was held in Boston, Massachusetts. SkinCare Physicians’ Controversies & Conversations symposium was held in Monarch Beach, California. SkinCare Physicians’ Controversies & Conversations symposium was held in Beaver Creek, Colorado. 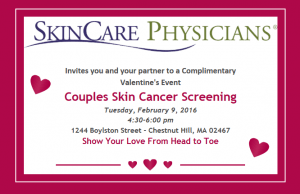 This Valentine’s Day special event is an opportunity to learn easy skin examination skills with your partner to be able to detect early signs of skin cancer, such as melanoma. 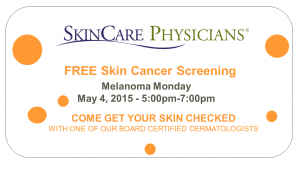 SkinCare Physicians’ board certified dermatologists will provide complimentary skin cancer screening on Melanoma Monday to support the American Academy of Dermatology’s effort to create a world free of skin cancer! 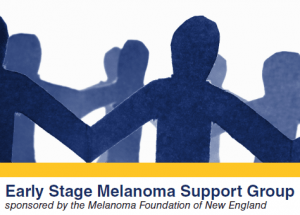 This three part session support group offers stage I and early stage II melanoma patients in the Boston area an opportunity to connect with others who share similar cancer experiences in a supportive and educational based setting. This three part session support group offers stage I and early stage II melanoma patients an opportunity to connect with others who share similar cancer experiences in a supportive and educational based setting. SkinCare Physicians’ Controversies & Conversations in Laser and Cosmetic Surgery symposium was held in Sun Valley, Idaho. SkinCare Physicians’ patients educational event was held at the Four Seasons Hotel in Boston, MA.